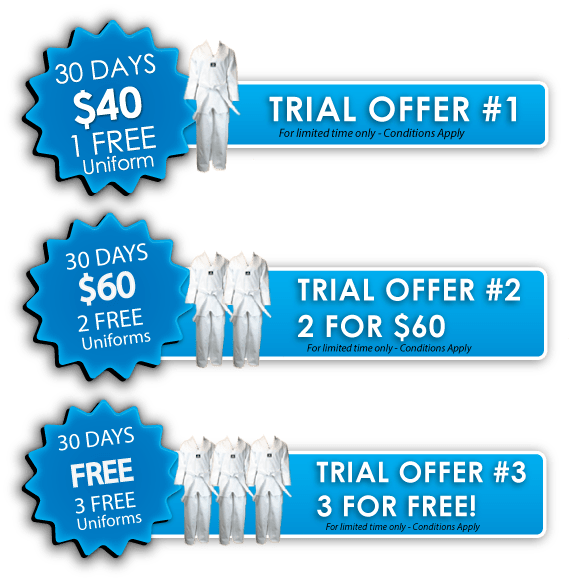 IMPACT Elite Poomsae classes are for those who want to challenge themselves and use their Martial Arts skill in a more practical way. Everyone is capable, however not all rise to the challenge of Elite. 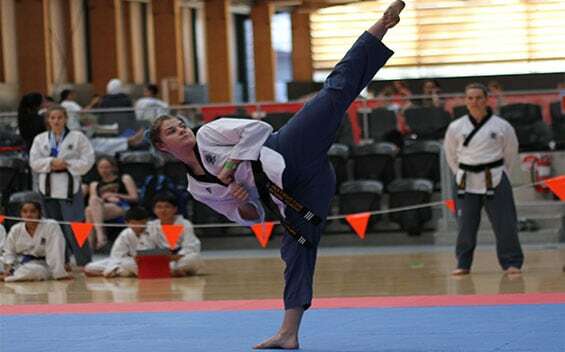 The Elite Poomsae Program provides a grass roots to high performance pathway for competitions at a Club, State, National and International levels. Our classes are separated by age and skill level, and in all we provide a safe, fun, highly skilled and challenging environment. IMPACT has had over 80 international athletes that have successfully achieved results and represented Australia as well as balancing school, work and other commitments. We have also fostered hundreds of IMPACT athletes who have successfully balanced their lifestyle with their sporting success. Train with, and be coached by high performing athletes who have medalled at international events and train daily with discipline, persistence and respect. Our high performance athletes are coached on how to acquire and constantly develop metal, tactical, technical, and physical skills as well as learning how to maintain life balance through time management and long term goal setting. Tactical skills are the “strategies” and athlete can develop to effectively apply their technical skills in training and competitions. Examples of tactical skills include agility reaction and coordination, the ‘how’ and ‘when’ to apply technical abilities, how to approach your poomsae before, during and after your event, understanding your opponent’s strengths and weaknesses, and being able to put pressure on your opponents. Poomsae is the main component of technical Taekwondo competition. 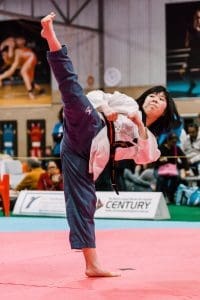 Poomsae consists of a variety of primary stances, blocks, punches and kicks, all logically composed to counter in response to attacks from multiple assailants from numerous directions. 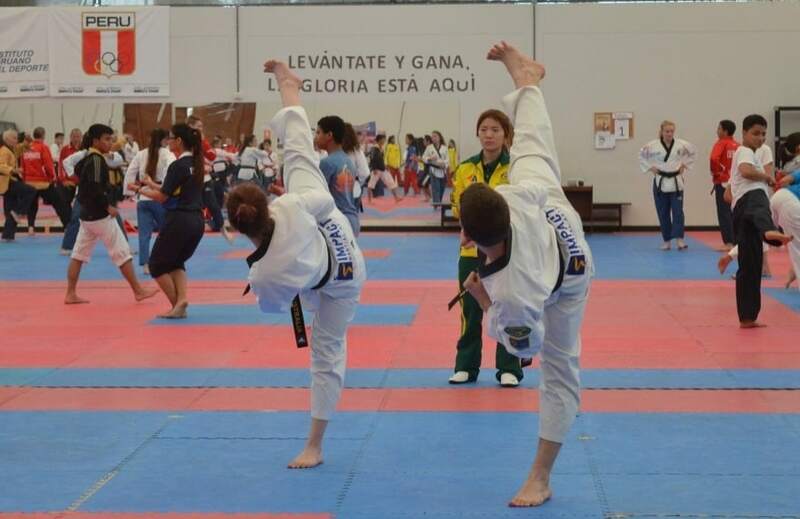 Balance, focus, power, coordination, rhythm and tempo are the principles behind competition Poomsae training. 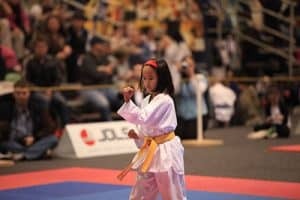 Poomsae can be performed in a variety of different events. The IMPACT Poomsae Elite program can give you the skills to compete in all of these events. For those who don’t wish to compete, Poomsae Elite classes take your Martial Arts training to a new level. You may participate in an environment that teaches you about competition training without having to actually compete. Learn what it takes to train with higher intentions and goals, to push your limits and aim to achieve more. IMPACT delivers coaching in goal setting, a valuable skill that can be applied to all areas of life. 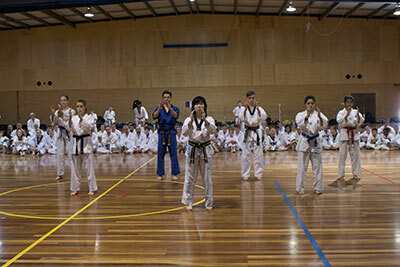 IMPACT’s Elite Poomsae Program will teach you to achieve more.